Four years later, in a rare case of Things Actually Going According to Plan, here we are in California. In the same way that we both valued our families, B2 and I have, implicitly, always wanted a family of our own — so it’s fitting that our tiny B3, currently hiccuping somewhere around my right hipbone, was what finally made us move closer to our families like we both planned to years ago. Every month that went by in New York made it harder for us to imagine really taking the bar again and really starting new jobs (or, in my case, just a new office) and really moving all the way across the country, even though B2 was at a firm that consumed almost all his waking hours, even though New York often didn’t feel sustainable. And then this little being came along, and finally woke us up from the inertia of the flawed but familiar. B3 would have been something to celebrate no matter when he came along, and the indescribable happiness that he has brought so far is, I’m sure, only a little bit of what is to come. But, on top of all that, he’s also the reason we followed through on plans that we wanted all along to follow; he has buoyed us through the stress of our old jobs and the transition to our new ones, all the things that come with uprooting ourselves and moving to a city we hardly know, and he doesn’t even know it yet. And still, as convinced as we are that this little one is the best thing that could have happened to us, an unexpected nostalgia has made its way in. I know this is common, and I’m far, far from the first person to have felt it, but it’s an odd set of feelings to juggle. We’ve been so elated at the thought of B3, and he’s been the herald of so many good things even other than his little self, that I think I’ve been wont to forget how good we did have it even before he came along. I recognize I’m growing horribly sappy (and I’m aware I may be the only one reading this, at this point), B2 is, after all, my favorite person. On quiet nights with him on the couch, or in bed a lazy hour after we should have gotten up in the morning, I’ve been a little more wistful lately for this “just us” time, these moments when I don’t yet have to share him with anyone else. It reminds me that, although we’ve always wanted this little family, that we do love this other life, the one with outdoor patio dates and ruminating about where we’ll be in five years. So, both to soak up the remaining time we have as just two red bowls, but to celebrate our mini-bowl, too, I wanted to make something that I thought summed up the two of us. These two recipes are different, but related, halves of a whole. One, zhajiangmian, is the Chinese version and the one I grew up eating, tweaked and concocted by my mother to her tried-and-true (and somewhat unconventional) recipe; the other is jajangmyeon, a Korean adaptation of zhajiangmian that B2 grew up with, and his favorite thing to order at cozy family dinners out at a Chinese-Korean restaurant they love in Honolulu. 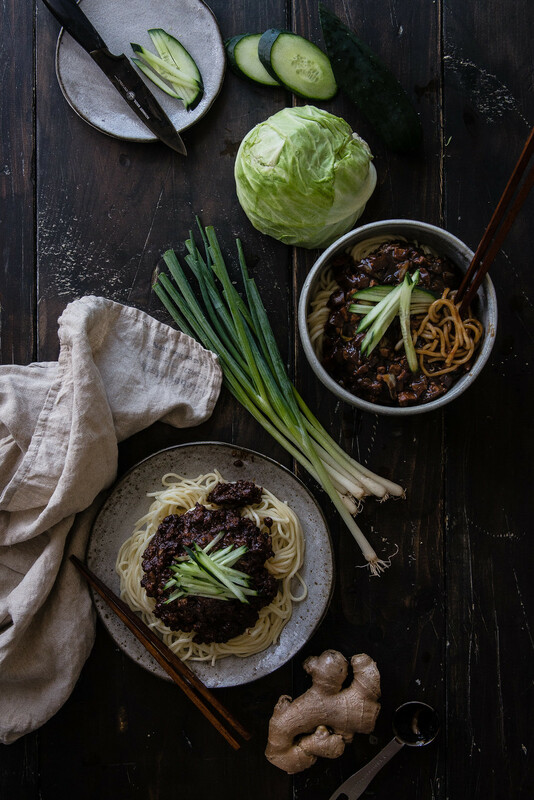 Both renditions are based in chewy, pliant noodles under a flavorful bean-based sauce, but where zhajiangmian sauce is more of a thick, ground meat bolognese made from tianmianjiang, or sweet bean sauce, jajangmyeon sauce is shiny and viscous, cloaking cabbage, onions, and diced pork in a sauce made from a tangier Korean chunjang, or black bean paste. Each is nostalgic for both of us, rooted in our families. It’s the kind of his-and-hers dish that I thought would be perfect for a date night to appreciate each other, and continue over noodles a relationship that might just have begun over noodles in the East Village. Whichever version you make, I hope you enjoy it as much as we did. 1. At least an hour ahead, soak the dried shrimp in a small bowl of warm water (enough to submerge the shrimp fully) to soften them and better release their flavor. 2. Bring a large pot of water to boil for the noodles. You won't want to salt the water for the noodles -- zhajiang sauce is quite salty, and will add more than enough flavor. 4. Add the sweet bean sauce, peanut butter, and chili broad bean paste and continue to stirfry until smooth. You may want to add a tablespoon or two of water to thin the meat sauce to your liking. Turn the heat to its lowest setting to keep the sauce warm, or remove from heat and set aside while you finish cooking the noodles. 5. When the water for the noodles comes to a boil, add the noodles and cook according to package directions. Usually I find that fresh varieties cook in no more than a few minutes. Drain and rinse the noodles to get rid of excess starch and to make them a bit chewier. Divide evenly between three or four bowls, top with the zhajiang sauce and julienned cucumber (if desired), and enjoy immediately. My mother's recipe is a bit unconventional; she likes to depart from traditional zhajiangmian in a few ways. 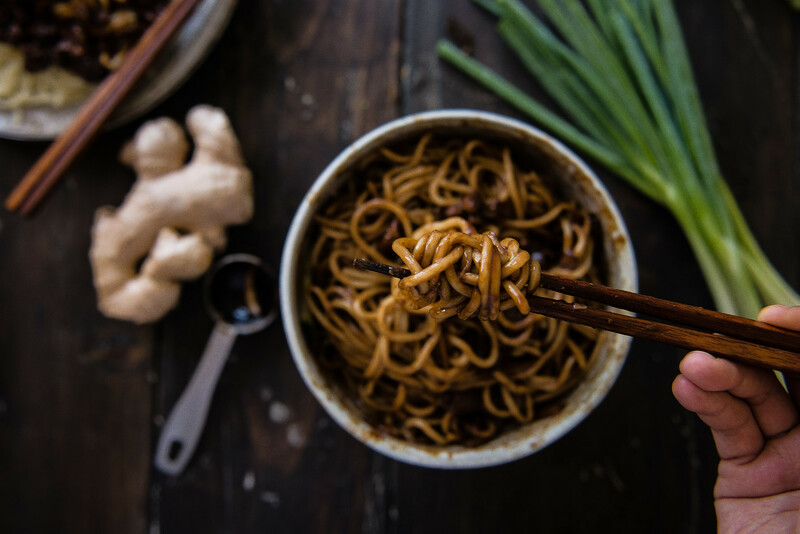 The spicy chili broad bean paste adds a bit of heat that is not always present in most versions, and, more unusually, my mother also likes to add peanut butter to her recipe, which adds a creamy sweetness, reminiscent of sesame noodles, that I love. It's a quirk that I haven't seen in many other recipes, but I find it completely addictive and a vivid reminder of home. 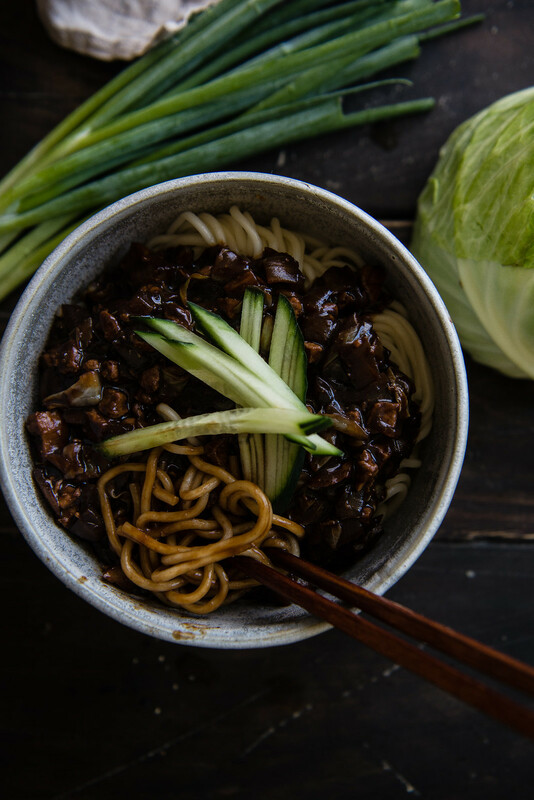 Both zhajiangmian and jajangmyeon will require specialty ingredients that may be a little hard to find, with zhajiangmian a bit more involved than its Korean counterpart. If you can't find tianmianjiang, or "sweet bean sauce" (also sometimes "sweet flour sauce"), you can try hoisin sauce instead, though it will be a bit sweeter. I've combined Korean chunjang with hoisin sauce in equal parts for a very good substitute. If you can't find dried shrimp, a few ounces of minced fresh, raw shrimp will work well, too -- just add them when you add the pork and cook until pink. Shell-on dried shrimp is not ideal here. 1. Bring a large pot of water to boil for the noodles. Meanwhile, make the sauce: Heat the oil in a small saucepan over medium-high heat until shimmering. Add the black bean paste and sugar and stir to combine. Fry the paste for 2-3 minutes, stirring constantly. Drain the oil from the paste and reserve to use with the pork; set the paste aside. 2. Heat the oil again in a large skillet or wok. Add the diced pork loin, rice wine, garlic, ginger, and a gentle seasoning of salt and pepper to the pan, and cook until no longer pink. Add the onion and cabbage, then continue to cook until the vegetables just begin to soften, a minute or two. 3. Add back the black bean paste and stir until the vegetables and pork are coated. Add 1 cup water and let simmer for 3-4 minutes. Add the cornstarch slurry and stir to combine, then cook for 1-2 minutes longer, or until sauce thickens. Turn the heat to its lowest setting while you make the noodles. 4. When the water for the noodles comes to a boil, add the noodles and cook according to package directions. Usually I find that fresh varieties cook in no more than a few minutes. Drain and rinse the noodles to get rid of excess starch and to make them a bit chewier. Divide evenly between three or four bowls, top with the jajang sauce and julienned cucumber (if desired), and enjoy immediately, with red pepper powder on the side if desired. Many other recipes call for zucchini, mushrooms, daikon, or other vegetables, but B2 swears by the On Dong version, which uses only cabbage and onion alongside the pork. 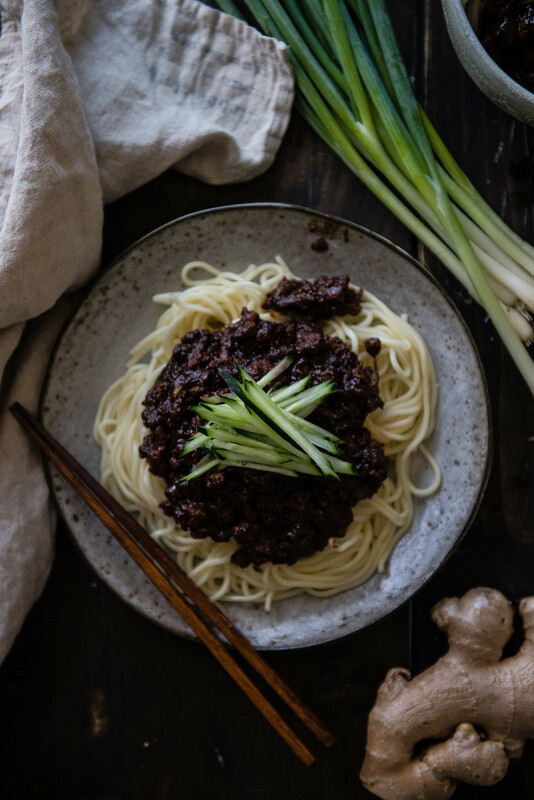 This recipe makes quite a bit more jajang sauce than its zhajiang counterpart -- where zhajiang sauce can be quite salty and concentrated, so that you'll only need a dollop or two for a big bowl of noodles, zhajiang sauce is smoother and meant to coat the noodles generously. Adapted from Korean Bapsang and meticulous descriptions by B2 of the version served at On Dong Restaurant in Honolulu. Thank you for these wonderful recipes. I’m looking forward to trying them but I would like to find the authentic products at my Super H store. Am I likely to find them there? If so, would you please post pictures of the tianmianjiang and dried shrimp products you use? Thank you!! Hi Susan, thank you so much for commenting! Here is a brand of tianmianjiang, and while I don’t have a recommendation for an exact brand of dried shrimp (they tend to vary from store to store), this is a good up-close photo of what they should look like — unshelled, very small, and just slightly orange-pink. Assuming that the Super H is a Korean supermarket, I’m not sure that you’ll be able to find tianmianjiang there, since it’s a fairly Chinese-specific ingredient. You might be able to find dried shrimp (though I usually see shell-on at the Korean markets, rather than unshelled) but I don’t think I’ve ever seen tianmianjiang. Still, when I haven’t been able to find it, I’ve mixed equal parts Korean chunjang (which you should definitely be able to find at Super H — they come in little black or brown tubs like these, labeled “fermented black bean paste” or “chunjang”) and hoisin sauce, with very good results — hoisin sauce is very close to tianmianjiang in flavor, just a bit thinner and sweeter. You can also use minced fresh shrimp in place of dried shrimp. I hope that helps! Thank you for your wonderful detailed reply. This will help me immeasurably. I do have access to a large Chinese market as I live in Northern Virginia just outside DC, The Great Wall. If there is another product you also recommend, please point me there! This is great fun learning what to look for in the markets in order to create these delicious dishes. Thank you for sharing your families recipes. Very beautifully and honestly written. I think for me the very issue you talk about has been the biggest part of my own debate, “should we do this? When?” I think you adapt to having the extra little one around. And when life is good you can’t imagine it getting better but it can. I think it’ll bring out new beautiful parts of both of you. Thanks for your honesty and these beautiful homespun dishes. You guys are going to be great. I love the mental/emotional/heart place this recipe springs from. It’s so special and unique. God bless your sweet little B3! zha jiang mian is such a comfort food for me too! i usually don’t add dried shrimp (or pb!) when i make it, but i love the sound of it and will have to try it out next time my zha jiang mian cravings hit. sending warm wishes to you guys! aw. this post made me a little teary. excited for you guys and your growing family! In the zhajiangmian, when do you add in the shrimp? I see the step to soak it but am not sure at what point during cooking you’d put it in. Thank you so much for catching this! The dried shrimp should be added along with the pork. My mistake — I’ve updated it now. Thanks again! Congratulations on B3 🙂 As someone hoping to start a family soon, this strikes a sweet note for me. As does the adapting of family recipes–my family’s Chinese, so while these dishes are unfamiliar to me I love the idea. Wow, congrats!!!! This dish look amazing by the way, oh, and your photos are always so lovely!!! This post was so, so beautiful–I soaked up every word of it! 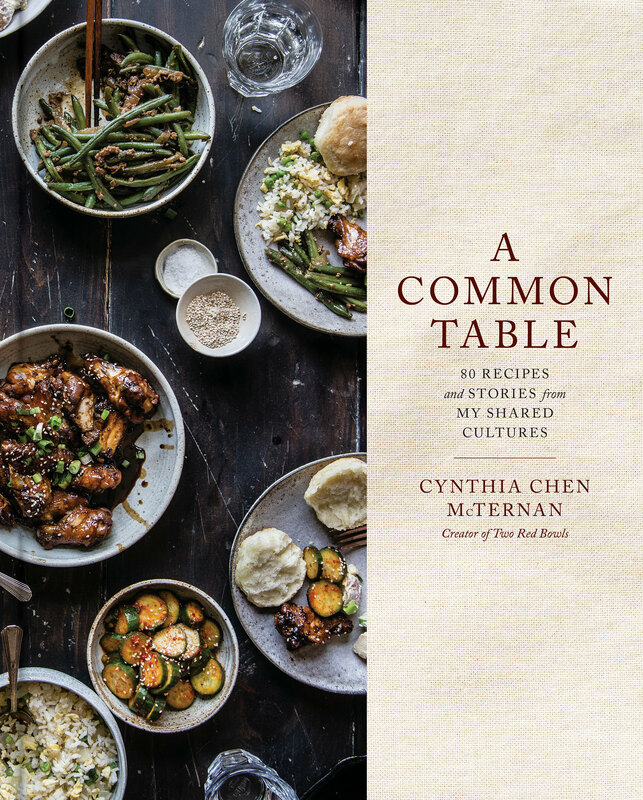 It also testifies to what I love most about your writing–the ability to tie your love for food, narrative, and personal life together so seamlessly. Nostalgia is never a bad thing, as long as it doesn’t lead to suffering or detract from the joy that you take in the present. I love the idea that there can be many different narratives that each of us leads–none of them any more a part of us than the other, but just distinct enough that we can recognize when one ends and a new one begins. Here’s to the best-case scenario and lots of wonderful days to come, filled with nostalgia and new memories, for you and your two wonderful bowls! Omg Cynthia, these noodles are everything. I also kind of love that there’s not 10 different Chinese spices and sauces to add because that section in my pantry is completely packed… and can I just say again how much I adore your writing in these kinds of posts – my heart feels oh so full reading this and I am so so so happy for you and B2 and little B3 on the way!!! I can related to this post so much. Beautifully written. It captures a lot of the thoughts going through my head these days as we try to decide if we want to start a family or not. We love our together time so much and adding a third would be a huge, though exciting, change. Thanks for writing this and the noodles look delicious! The difference in my household between the dishes would be the noodles. 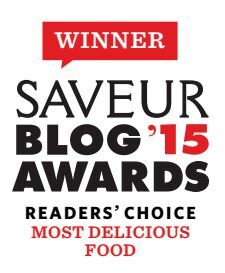 I love the wheat noodles, my husband is more of a fan of lighter rice noodle dishes. Hi! I love the new look of your website, but it seems like I can’t see this recipe! Any way to fix this? Oof, so sorry about that!! It should be back now. Thanks so much for the kind words and for catching that, Helen! Whoa this blog is ridiculously cool!! I just found your blog and stumbled upon this recipe. I’m of Chinese descent and my husband is Korean American. We also live in LA. Like you, we had the same discussion about Zhajiangmian and Jajangmyeon and noted both the similarities and differences. 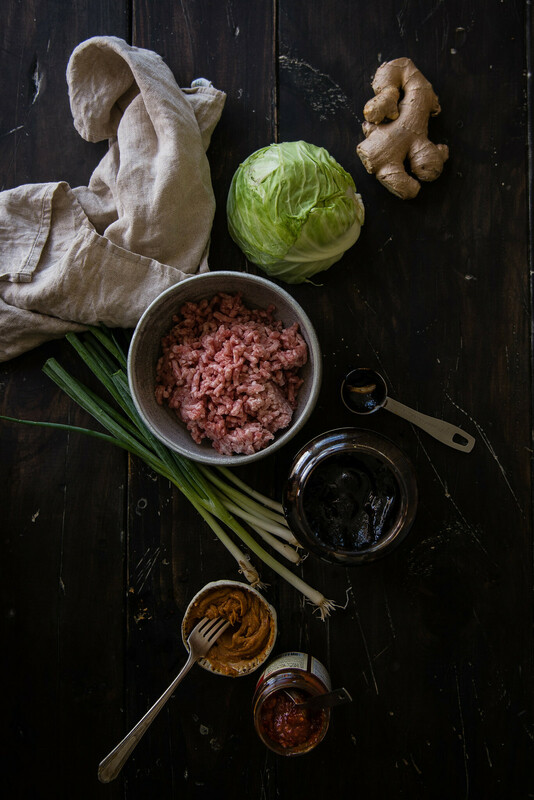 I love to cook and I’m so excited to find a blog like yours that blends authentic Asian recipes with Western ones, with plenty of unconventional twists that adds flavor and depth to the dish. I haven’t encountered people who cook like that in real life, it’s comforting to know that they exist! I hope to meet you some day, but in the meantime, I just wanted to let you know that you are absolutely inspirational. Thank you for the blog and please keep up the good work! Hi Marissa! I can’t tell you how much this comment meant to me to read! Just like you, I LOVED hearing about how you’re also a mix of unique cultures just like we are. I’m looking forward to the day (hopefully soon) when it won’t be rare to encounter people who cook like us in real life 🙂 . Thank you for such kind and thoughtful words, and I hope we get to meet someday too!